Along with this blog, I write beer columns for two Southern California weeklies (Craft Beer Corner at Gazette Newspapers and First Draft at The Beach Reporter). For those of you new to the world of craft beer I think you'd enjoy my most recent series in the Gazette. In those columns, Beer 101, I explore the basic ingredients in beer. The first of the columns explores the role of malt in beer production, the second the effects of brewing water and my most recent deals with hops. Yeast will be published in the coming weeks and a soon as it is I'll put a link here. 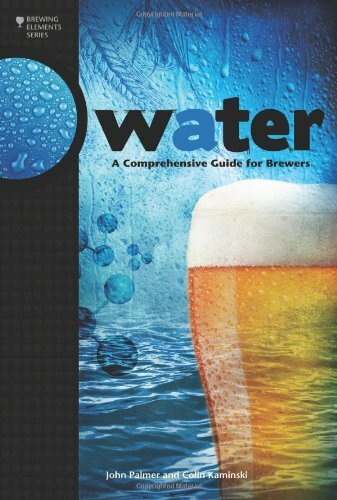 While these aren't comprehensive studies of these ingredients (I am limited to 800 words after all) they are, I think, a good introduction to the ingredients you'll find in a typical beer and they point to where one could find more in-depth sources. I hope you enjoy them as much as I enjoyed writing them.